HAPPY MEDITATION 2013 – 2014!! Happy to join you all from Phoenix in the valley of the sun, directing my meditation towards good will for all as we are all unique expressions of Creation. May we all come to realize our greatness is in our individuality and our power comes from our unity and knowing that we are all born of the nature that sustains us and inspires our creative giving to the reality we share. Wonderful movement! I am honoured to join my fellow artists for this meditation moment during our last Sunday of 2013. It has been enlightening to read your discussions this year. I’m not the talkative type any more, but I do have strong opinions. It’s fun to read about others’ opinions as I grow in my artwork. Thank you for an interesting year. Carol it would be lovely to have you on board to join us in our meditation lounge program do also think of participating in our monthly theme exhibitions free open to all members. Designed to assist artists to have their work commented by internationally renowned panel of artist’s and a platform to best promote globally attached link to register!! Happy to be with you all in Meditation this sunday and be aware that as we’re beings of light, we can spread our light for peace, healing and creativity..
Sunil and all others I am happy together in this Mediation, that light opens the eye’s of mankind and that we are going into the way to peace, healing and a lot of creativity. Good to be with all of you in meditation for peace and healing.. Happy day to all. It’s always a good experience for me too. A very peaceful afternoon, ideal for Meditation, so happy to have joined you. Good to see you all had a pleasant week end. I am now in Prescott Arizona experiencing a frosty night. – Clear sky and lots of stars. I am currently in a constant state of meditation due to the pain medication I am taking. I had surgery Friday the 27th (had to beat the year end insurance deductible), to repair nerve damage from my calf to my ankle. I have a walking cast up to the top of my calf. I must keep my right leg elevated and apply ice packs every two hours, ugh! So I have to keep my typing time short. Peter – I will be thinking of Clear sky with lots of stars – thank you for the beautiful imagery. Prescott is resplendent – hope you are enjoying your time there. Terrence, wishing you a speedy recovery. I will add you to my meditations. I always like my visit to Prescott, the courthouse square, The smell of the junipers and pines, and the history of Whiskey Row which at one time boasted the best saloons and brothels in the state. Edgar – Hiking accident – originally thought I had broken my ankle – the first surgeon took x-rays and found no fractures – he sent me to a second surgeon who did a MRI – he found the torn nerve running from my ankle to my calf. Turning 60 this year has not been a lot of laughs, but I have found my morning meditation to be essential to my mental health and creativity. No worries, I will be using a cane in 2 weeks and can get rid of these clumsy crutches. Peter, a strong Whisky and a Brothel sounds good right now, but I better not mix alcohol with my pain medication, and I’m not (up) to the ladies either, laughing! I just know 2014 will be a fantastic year, couldn’t get any worse than 2013. I can smell the junipers and pines now in my mind’s eye. Good Morning to you all.., And hello to our founder & active members Edgar, Herminia, Antonio, Julica, Peter and Terrence. 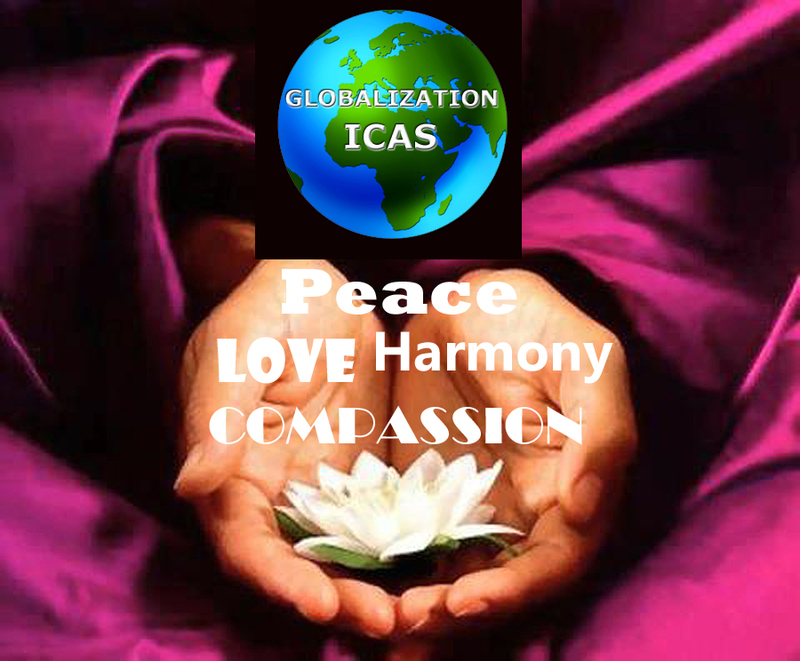 Hope you all had an enjoyable and a memorable Christmas, also celebrated our World meditation day to complete the year 2013., The importance of our World Meditation Day will begin to grow for each one of us participating in so many difference ways that we will talk about later in the year 2014. Terrence welcome back good to hear from you.., We all miss each other during our time of absences.., We have all develop a unique bond for each other as a GICAS family that’s lovely to share with all our members…, I am sorry to hear of your operation but looking at the bright side, we begin to appreciate having all our body working well as you get ready to celebrate your 60. I know you are a regular mediator therefore a practice to complete your program to add visualization light by activating all the seven chakras feeling the sensation of each colour from the base to the top of your head being the seventh chakra & colour. Using this practise will execrate your healing process in your body as you energise each growing cell of your body with positive energy. Happy meditation. Sunil – [ …. we begin to appreciate having all our body working well as you get ready to celebrate your 60. I know you are a regular mediator therefore a practice to complete your program to add visualization light by activating all the seven chakras feeling the sensation of each color from the base to the top of your head being the seventh chakra & color. Using this practise will execrate your healing process in your body as you energize each growing cell of your body with positive energy. Happy meditation. ] … When I turned 60 on August 3rd I had no Idea that within two weeks I would have heart surgery for a large blockage and a stent put in. Now my heart flow is normal, but I have come to expect the unexpected. Interesting that you would mention the seven chakras. I work with a massage therapists that specializes in chakra therapy. I go in once a month to have my chakras aligned. I meditate in two different ways. One is standing with my eyes open, usually contemplating an unfinished project. The other is sitting in a chair with my eyes closed; many of my friends that practice (Transcendental Meditation) meditate this way, as opposed to sitting on the floor in the traditional Buddhist position. My morning meditation takes about 20 minutes. I feel rejuvenated and healed without the use of medication of any kind. The pain pills are currently a necessary evil. I have already started cutting back, a transgression to my surgeons orders. My brain being insensate is simply not acceptable, that is where my morning meditation becomes an indispensability to (execrate my healing). Thank you once again Sunil for you concern and outpouring of love. Life can not be measured in years. It is measured by the happenings that make us feel truly alive. It is not measured by our accomplishments. It is measured by the times we truly feel and give love and compassion. It is not measures by what we have and is not prolonged by what we want. It is measured by the intensity with which we see the beauty in this world and the happiness we feel each day for we are a sense of creation feeding it’s sense of self through us, through our happiness, our pleasure in it’s creation, and our pleasure in the creations it inspires within us. Be happy, be patient, be creative and never worry about how long your life may be.